In today’s digital age, it only takes a few clicks of the keyboard to get a selection of search results where you can find a lease agreement to print off and use with future tenants of your property. While these are binding contracts and great starting points, nothing quite beats an official lease agreement created with your specific interests in mind. A generic lease that you pull of off the internet could potentially leave you vulnerable in the future. Getting that lease reviewed by a real estate attorney can help protect you and put your best interests first. Having a lease prepared by a real estate lawyer can help ensure that you have a customized lease that meets your needs, the needs of the property, and the needs of your tenants. Getting accurate legal advice is key to being a successful landlard, and for tenants, having a successful rental experience. Avoids blunders of he said, she said contracts that were formed over a handshake. You’ll have a binding legal document that clearly states the expectations for both parties so you have a backup in any legal disputes. Creates a unique contract that protects your specific interests. Not all properties, renters, landlords, or leasing terms are the same, so your leasing agreement shouldn’t be, either. Adds necessary details based on your specific situation. One-size-fits-all lease agreements can leave you vulnerable to legal action. Ensures the lease agreement is factual and accurate. You know you can’t trust everything that you read on the internet, so why would you assume a generic lease that you find online is truthful? It might be, but it should be reviewed by a real estate lawyer to verify its accuracy. A lease agreement can meet your requirements as the landlord as well as include specifications to meet the lender’s requirements if they exist. 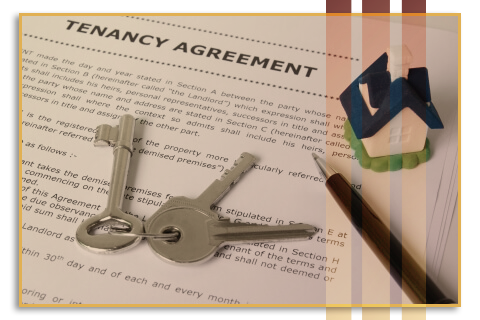 Moreover, a unique agreement can account for any property management clauses, as well as properly explain when the official renting period begins and ends. A lease should protect both you and your tenants and lay out expectations and requirements for both of you during the tenancy. Getting legal advice, both as a renter and a landlord, will avoid disputes and ensure that all parties are happy with the arrangement. The Law Offices of Diron Rutty, LLC, provide lease agreement creation or review for landlords. If you are starting a lease from scratch, our experts can help you create a lease that fully suits your needs and protects your interests. We’ll make sure that we get the details of your specific property and situation and tailor a lease specific to your needs. In the end, you’ll have peace of mind that your lease protects your best interests and you won’t have to worry that a loophole is going to come back and haunt you in the future. No need to search the internet for a generic lease agreement; we’ll make sure you have an accurate lease for all of your properties and tenants. Contracts go both ways, which is why it is essential to review a lease prior to using it as a landlord or signing it as a tenant. The lease agreement is a binding contract and should be taken quite seriously; that’s why pulling a generic “catch-all” lease off the internet is rarely the best choice. If you have a lease you’ve been using or are thinking about using that you would like reviewed, we can provide unbiased legal advice for how to revise it to fit your needs. This allows you to use a template and have it customized by a real estate lawyer to meet your specific situation. You’ll have peace of mind knowing that a professional has examined the document with your interests in mind. A real estate attorney can provide legal advice for both the landlord and the tenant. As a tenant, the Law Offices of Diron Rutty can provide a review of the lease you’ve been asked to sign and alert you to any red flags or offer suggestions for changes to the lease that the landlord can consider. Having a lease reviewed before you sign it can also make you aware of any unfair or questionable clauses in the lease before you enter into a legally binding agreement. You’ll be able to protect your interests as a renter and ensure you are getting a fair deal. The fee that you pay to a real estate attorney for this service will be negligible compared to the fees you could end up paying on an unfair leasing agreement. 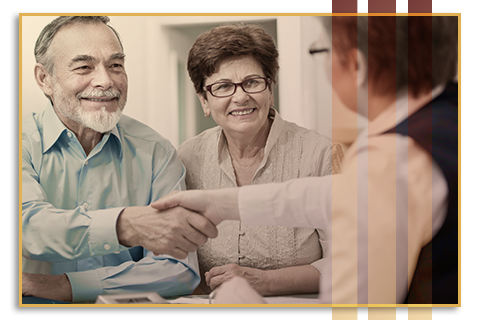 We serve landlords and tenants at our two law offices. One is in The Bronx, serving NYC, and the other is in Poughkeepsie. Our fees are reasonable, and we are happy to work with you to make your life more convenient. Call our team or contact us through our website to learn more about our lease agreement review and creation services today.